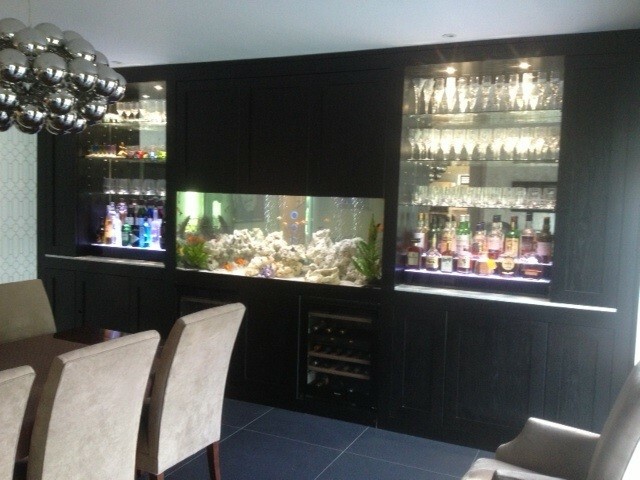 This designer bar aquarium was installed in a North London home to act as a centrepiece for our client’s bar area. It is lit by led lighting with a choice of blue or white lights depending on the mood. Our client decided to stock his aquarium with a range of fancy goldfish including lionheads, black-moors and ryukin which are all doing very well. Our client commented on this aquarium as follows.